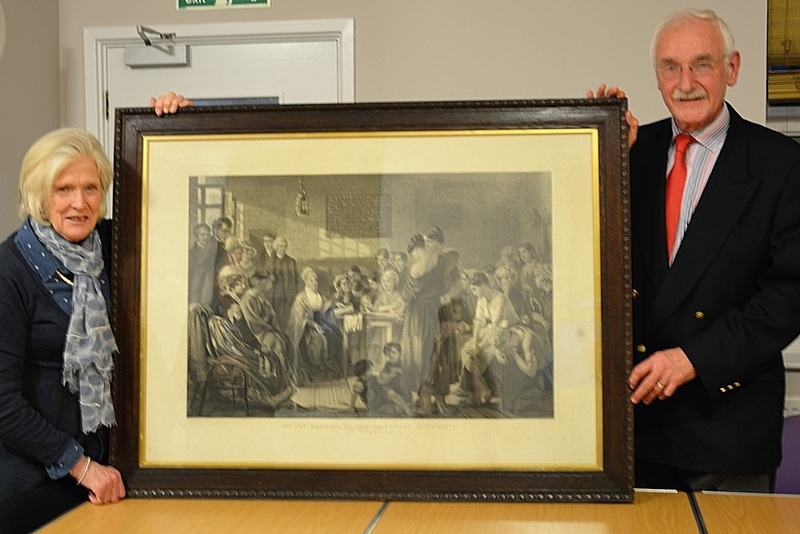 Earlier in March, we had the pleasure of being presented with a truly amazing painting of Elizabeth Fry by her descendants Angela & Simon Kendall, accompanied by Robin Gambles (who was the Charity's ex-solicitor and also a relative of Elizabeth Fry) and John & Margie Milward (an ex-Trustee of the Charity). The framed copy of the painting depicts Elizabeth Fry's visit to Newgate Prison in 1816. Angela and Simon re-told stories of Elizabeth’s remarkable life with Robin bringing the presentation to an end by reading the day's entry from Elizabeth Fry's book of daily readings. From everyone here at Elizabeth Fry, we would like to thank Angela & Simon Kendall for this wonderful gift, now fondly hanging in the hostel.